The NHE/OV PTA Direct Donation “The Big Give” provides NHEES/OVES families and friends an opportunity to make a monetary donation directly to the PTA. All contributions go directly to supporting PTA programs without having to profit share with an outside organization. This allows us to move away from direct sales fundraising such as selling gift wrap papers and cookie dough products. 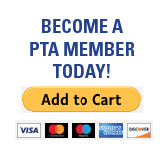 The PTA funds (in full or in part) a wide range of activities that all NHEES/OVES students enjoy. Montgomery County does NOT pay all of the bills at NHE Elementary and Oak View Elementary and funding from the PTA bridges the gap. The truth is that MCPS does not pay for many of the “extras” that enhance our children’s school experience everyday. Things like classroom technology, art assemblies, library books, visiting artists, musical instruments, recess rainy-day games, and classroom supplies. One hundred percent of the funds you contribute will directly benefit your child’s education this year. Your support in any capacity helps our schools and your child. Every family’s contribution is greatly appreciated, and we ask that you give as generously as you can. Thank you! Please use the form below or donate online via Pay Pal. The Big Give ends on December 31 so give today!